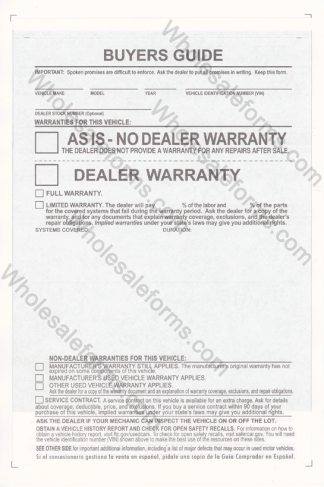 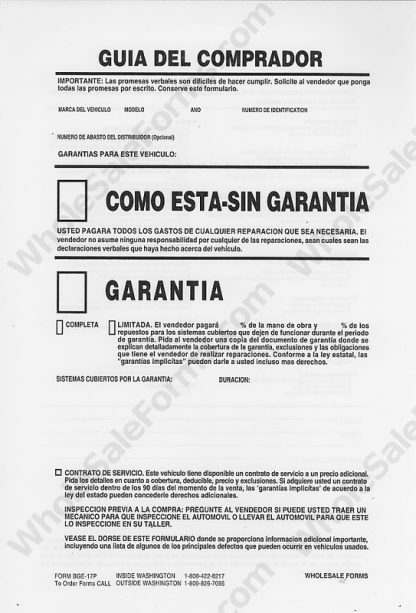 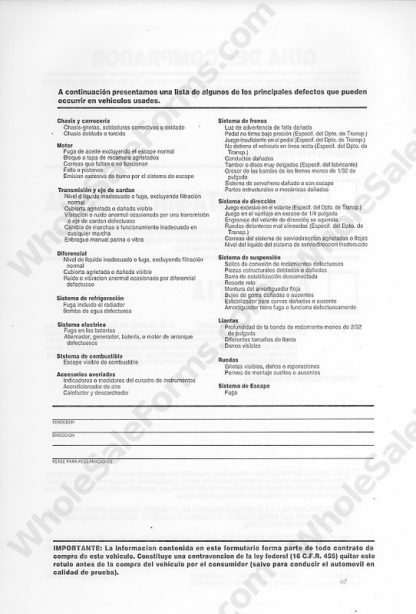 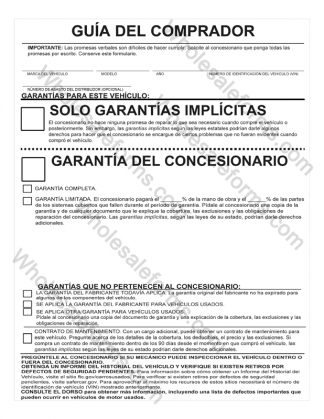 Spanish, As-Is 1-Part buyer’s guide, Paper back, 8″ x 12″ Wholesale (Auto) Forms supports dealerships with FTC approved, dealership-quality stickers that last for the life of each vehicle on your lot. 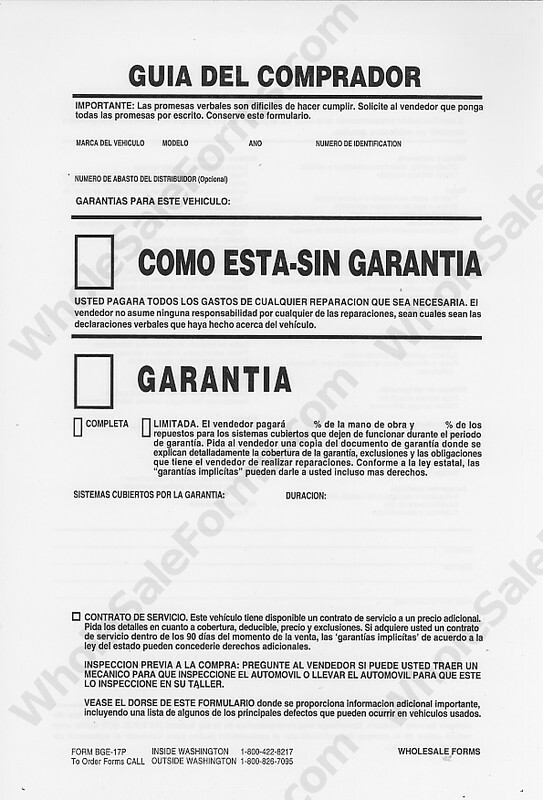 Never replace an auto form again. 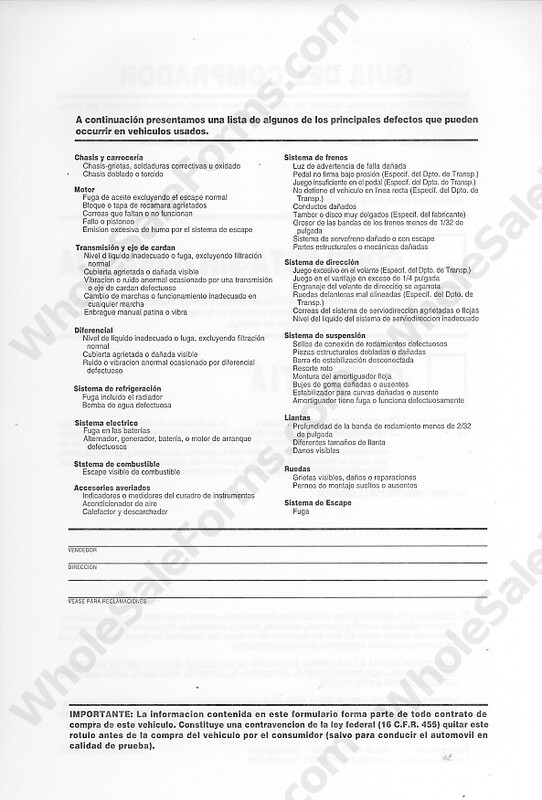 Don’t see exactly what you want? Custom forms are available.